The Kedarnath Helicopter Service for the Current year 2017 is on hold because the Uttarakhand Government has not issued the tariff of Helicopter prices and also not allow helicopter to fly. As per the information the Helicopter services for Kedarnath Ji Trip will be started but the dates are not fixed yet and as soon as the government will declare the prices the booking will be taking by Helicopter companies. Check below for full details of Kedarnath Helicopter Booking 2017 Important Notification. 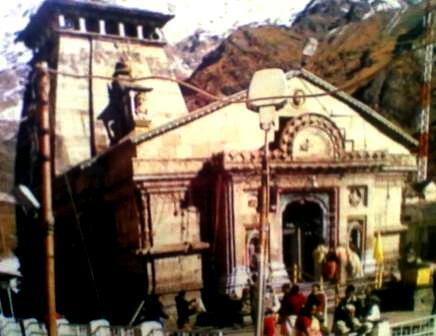 The Char Dham Yatra for Badrinath, Kedarnath, Gangotri and Yamnotri will be starting from May Month and it is expecting that this year many visitors have planning trip to these Dham or the Places of God and the prices of all the things like, Transport, Accommodation will get increase because of inflations are regularly increment in the prices of Petroleum Fuels and Taxes in many things. But so many visitors already made booking with hotels and accommodations. So the Helicopter Prices for Kedarnath is not fixed yet but it will be approx. 7000-8000 Rupees, Last year the prices was around 7200 and this year it may increase. If you are going to take the Helicopter Services for Kedarnath Trip then you can go through the Aviation Services like Pawan Hans, Himalayan Heli, UTair and many other booking provides. You can directly visit their official websites and tell them about your journey, they may take your provisional booking but the final booking will be made only after the Uttarakhand Government will allow. So if you want to Book any hotels and Transport for the Char Dham Yatra Uttarakhand 2017 then you can also mail us at onlineuttarakhand@gmail.com, and we will send your query to our travel partners, who will definitely give you the best tariffs. Don’t forget to Follow us through our site , which will give you every updates of Uttarakhand from us.